This month we are featuring books by Laura Numeroff for our Virtual Book Club for Kids! We read If You Give a Cat a Cupcake by Laura Numeroff and did a simple cupcake craft. To make our cupcake craft we used a variety of colors of paper, sequins, dot markers, buttons, scissors, and glue. Before we got started I pre-cut a top and bottom for the cupcake. Then my daughter helped fold the bottom of the cupcake to make the wrapper have more texture. Once everything was cut and folded, we glued the cupcake onto another piece of paper. Next we decorated the cupcake with dot marker sprinkles and then we added sequins and button sprinkles too. Once the cupcake project was sufficiently decorated we laid it out and let the glue dry. While everything dried we got our playdough out (along with some cupcake tins and wrappers) and we made some playdough cupcakes. We even added some sequins to our playdough as sprinkles too! My daughter was super proud of her cupcake craft and loved showing it to her dad when he got home! 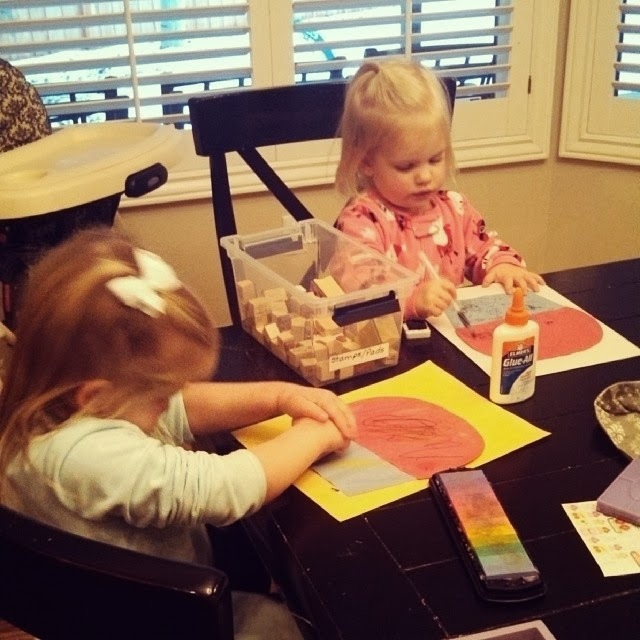 We replicated this project again and again using a few different materials-- stamps, stickers, crayons, pens, etc. I got to fly out of town to go visit my nieces over the weekend and we even managed to do this project with them too! 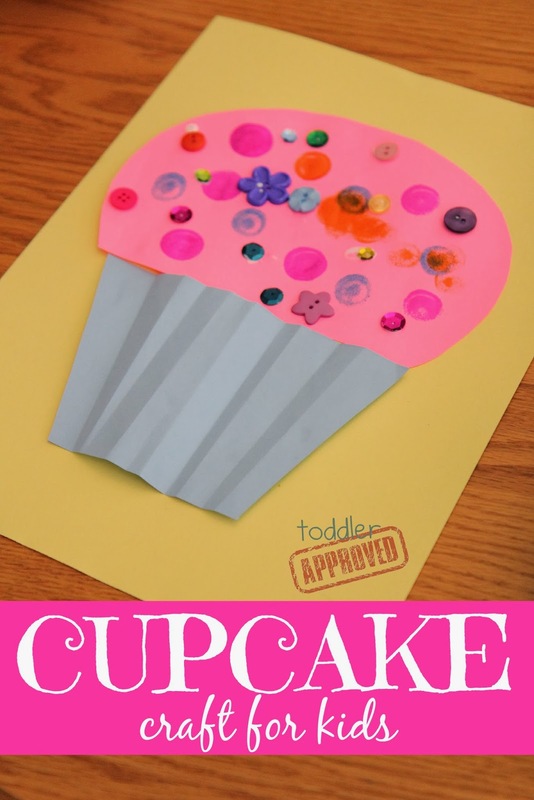 Have you ever made a cupcake craft before? Or have you done any other crafts or activities after reading If You Give a Cat a Cupcake or any other Laura Numeroff book? If so, come share them! So much fun! My boys will enjoy this activity. Thanks so much for sharing. We made a cupcake craft too and even did pretend cupcakes! Hahaha! :-) Wish I would have thought to fold the cupcake liner accordian style like you, that adds so much texture!! This is the first time I've joined in with the monthly author so it's been fun seeing everyone's ideas. Have a great day! So cute - I think I will have to try this when I can get a copy of the book from the library. What a cute craft. I can't wait to try it when the book comes into the library. A very cute and pretty little craft. This is nothing short of adorable. We have a cupcake shape sorting toy that would be perfect with the craft and the play doh cupcakes. I can't wait to try this! Kristina I love how you folded the paper to make it look like a cupcake liner. Will be adding this activity to our planner this week. We were playing with water beads in our cupcake pans this past week to create our own cupcake fun. Thank you so much for doing such a great job at hosting the Virtual Book club for Kids. Can't wait to see what 2014 brings to the participants!